After installing miuiandroid_Milestone-2.4.20.zip from the release thread I've really enjoyed the smoothness of the ROM, but I have an issue where the entire keyboard's alt-layer is remapped to match something similar to an HTC Status [example] with a number-pad instead of the number-row actually printed [example]. I'm starting to learn where things are, but why can't it just match the printed layout? I'm gonna bump this, as it's the only reason I won't use MIUI and it doesn't seem like anyone's even acknowledged the issue. Probably for easier use is the reason why it looks like that. The Milestone's keyboard is laid out incorrectly in MIUI. When I press ALT+Q, I should get a 1. I don't. I get a *. ALT+W should be a 2, I get a 1. ALT+E should be a 3, I get a 2. ALT+S should be a !, I get a 4. I'm saying that whoever put the keymap file into the ROM put the wrong one in. It's not "easier" if the labels on the keys aren't what actually happens. That IS the newest version. Find me something newer for a Milestone. At no point did they say that the Milestone was EOL'd. The list of EOL'd devices specifically did not include the Milestone. 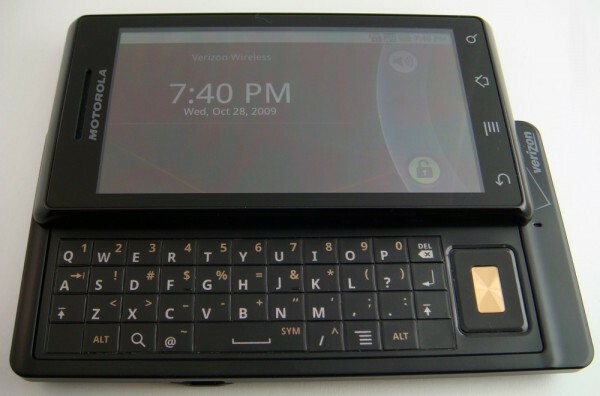 If they have EOL'd the Milestone, can we at least get a final version with a working keyboard? None of the previous versions of MIUI have had this issue. And blackstones, while I do appreciate your interest in this thread, it doesn't appear that you can help in any way. So... Absolutely no support or response at all from the staff? Love the support around here. lol. GB ROMs are pretty much done. I appreciate the reply. In the release thread for 2.4.20, a number of devices were listed as EOL, but the Milestone was not one of them. If you have EOL'd the Milestone, perhaps a notice in the Milestone subforum and an edit to the release thread is in order? I'm only pushing for support on this issue because it hasn't been marked as EOL, and I've never seen this problem in any other MIUI release for the Milestone. It hasn't been EOLed, but Xiaomi promised one last update to the remaining GB devices, but they've been busy adding new devices to ICS weekly. The chances of getting one last GB update are fading in my hopes weekly. Isn't this the same problem as the qwerty issue that happened before ? Members (Not Staff) at Xiaomi were saying this is not a bug. They said those are the correct keymaps. Well, guess there's no usable MIUI on Milestone then. Thanks for your time. Harsh statement? Usable MIUI? Its quite stable and Xiaomi said this wasn't a bug. If you can provide more evidence I can argue a bit more. However, I don't experience nor know enough to debate with them beyond what you said on the first post. I installed too Miui 2.4.20 on my Milestone A853 and the keyboard is WRONG!!! When I press ALT+Q, I should get a 1 , BUT I get an * .The Rom is great and I won't change it , I will wait paciently for a solution! Thanks ! You are right! I have an Milestone A853 and it is the same here!! !With Miui 2.4.20 Keymapping is WRONG! It is endeed the one for HTC!